While the fall season turns the Uniontown, Ohio area into a striking vision of bright gold, red, orange, and green, the temperature that comes along with it leaves something to be desired. As we approach the end of the calendar, the slightly chilly weather turns into teeth-chattering cold. And it’s safe to say that not many of us are fans of low temperatures. But what if you had your very own fireplace to curl up by? A place to sit in front of on those crisp autumn nights where you could enjoy a nice cup of hot apple cider with your loved ones… Well, that idyllic vision can easily be a reality when you visit Fireplaces & More Inc. Conveniently located near the Hartville, Ohio and Barberton, Ohio areas, Fireplaces & More offers a wide variety of wood burning fireplace inserts, outdoor fire pits, and wood burning stoves, as well as chimney liners and installation. 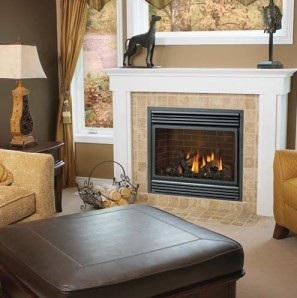 If you would like to transform your home into a warm, cozy refuge from the cold, then obtaining expert fireplace service from Fireplaces & More is a step in the right direction!